If unchecking all filter lists fixes the problem, which one filter list must you check to cause the problem again after another restart? Adobe Flash Player don't work anymore on Safari! Are there any errors that show up? No, there's no error apparently. BBC videos keep asking to instal the same version of the Adobe Flash Player again and again. South Park videos stopped. And on many others sites the situation is the same. My Safari was crippled by AdBlock. The same happened with Firefox but the uninstall process made it normal again. On Safari preferences -> extensions -> I can turn OFF all the extensions or uninstall AdBlock. There's no pause button. Anyway, nothing happens about the videos playback when I do so. 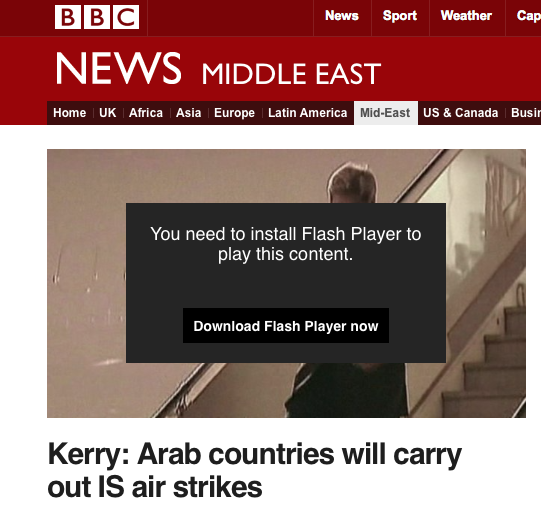 The BBC site and others keep asking to install the latest version of Adobe Flash Player. Are you sure you have the latest version of Flash? I'm installing it now again. Does disabling AdBlock or the extensions altogether resolve the problem? No, it doesn't. I've tried uninstalling AdBlock and resetting Safari but the problem persisted. South Park doesn't work anymore. 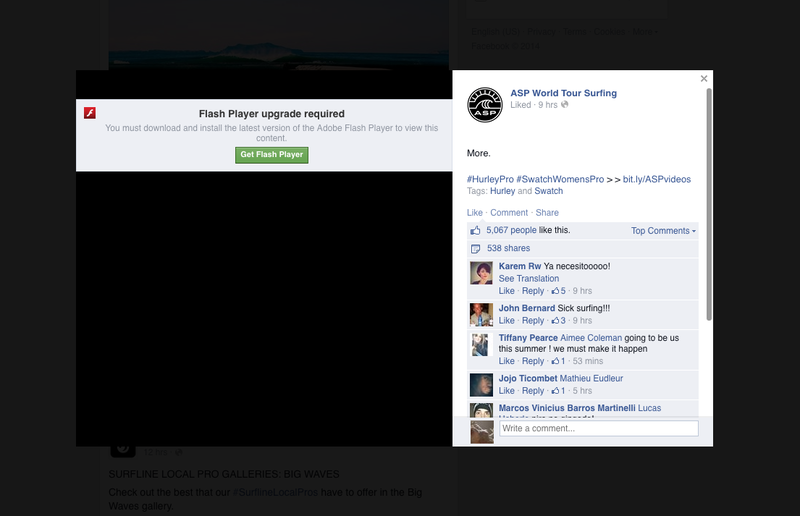 Video playback on Facebook doesn't work anymore. Video playback on BBC doesn't work anymore. 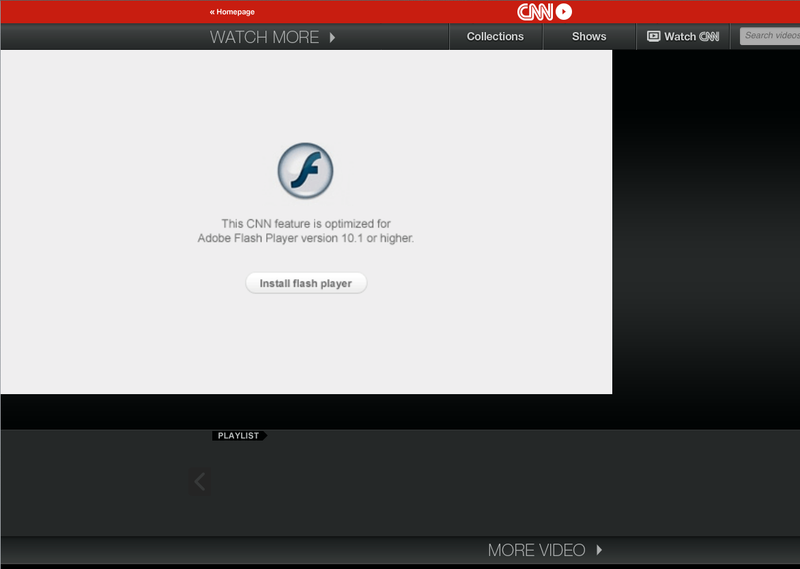 Video playback on CNN doesn't work anymore. Some video playback on Youtube doesn't work either (at the first moment, none of them was working. I think that the reset fixed part of the problem). If uninstalling AdBlock doesn't change anything, then the issue isn't caused by AdBlock. There unfortunately isn't much we can do to help in that case. No. You are wrong. I never ever installed an extension before AdBlock. Safari was ABSOLUTELY perfect before the try out with ADBlock. The only thing that I did different that could be related to the problem in my Safari is the installation of AdBlock. AdBlock doesn't have access to the filesystem and cannot make permanent changes to your computer, unlike Safari and Flash, so it would make sense that the issue is with one of them if AdBlock is not installed, and you're still experiencing it. One more thing I'd try would be to completely delete all of Safari's caches and preferences files. Warning: this will reset Safari to a factory state, you will lose all browsing data, history, bookmarks, etc… If you would prefer to keep this data, make a backup of these files before deleting them. You can access the Library folder in the Finder by clicking Go in the menu bar, holding down the "alt" key on your keyboard, and clicking "Library". Please let us know if that changes anything. In any case, we'd advise contacting Apple's and/or Adobe's support about this instead. Same problem here. Login as root on your Mac, perform a ps -ef | grep com.apple.WebKit.PLugin64, then issue a kill -9 on all the PIDs and then immediately click your retry. Success was immediate. Thank you very much for the contact. But I don't feel secure enough to perform such procedures. I don't have the expertise. Jérémy closed this discussion on 03 May, 2015 04:21 PM. help by adding your name.